It's now a trilogy! 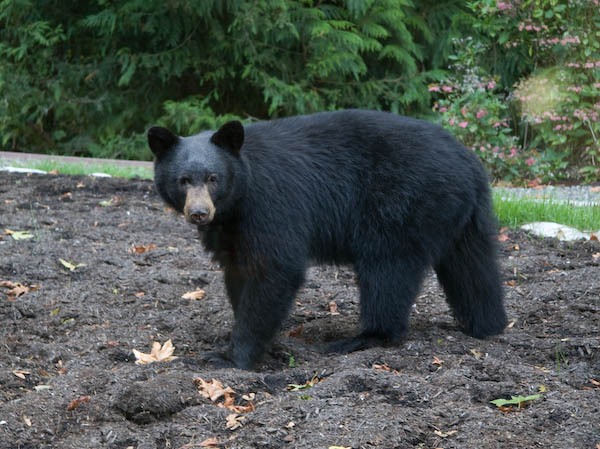 We saw a black bear again on September 29, 2011. We expect that it's the same one we saw on July 16 and August 2. After the last episode, we stopped putting out feeders for the birds. 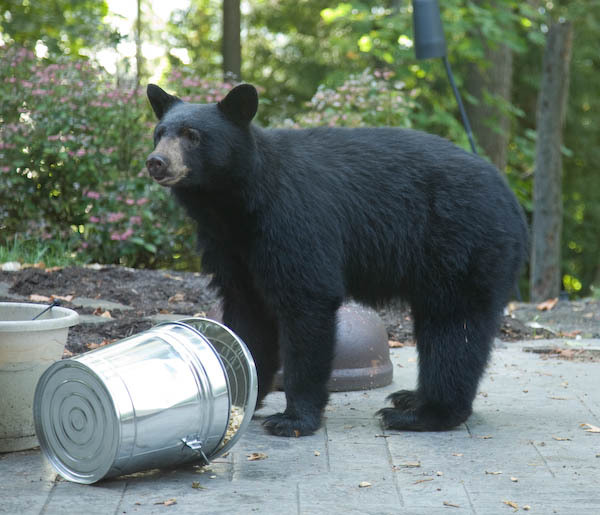 Undeterred, this time the bear found the metal feed can at the edge of the patio. It contains peanuts and has a handle that keeps the lid shut. It requires enough force to move the handle in and out of position that Cathy just has Tom take care of that. We had some raccoons try to get into the other, similar can a few years ago. 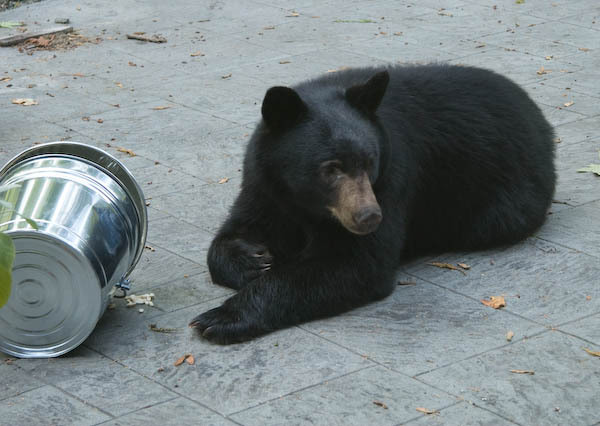 The bear turns out to be much more adept at that. 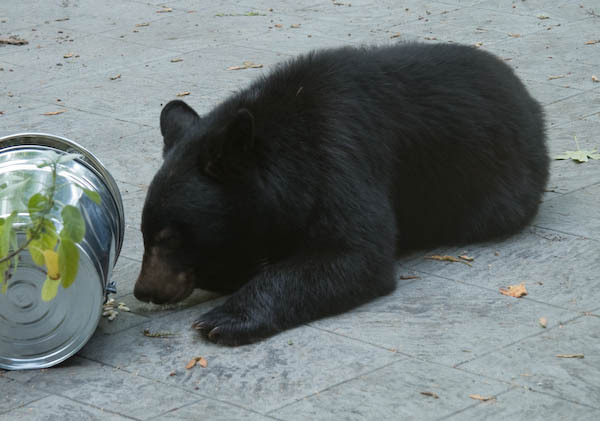 We happened to glance outside and discovered the bear happily munching away. Tom tapped on the glass, which got his attention briefly, but he promptly returned to eating. ...and yelling at him sufficed to convince him to move along.